This week I have investigated options for publishing my second book of The Fortune Seekers Series. It is an important decision, being more than how much it costs as it is about whether I can do it on my own, or would it be prudent to hire a vanity press or hybrid company to assist me. There is more to being an author than writing. Promotion, marketing and websites are important- more than important -they are a must do if my books are to become known. My challenge is how much I can do on my own, being self taught in these areas? How do I do these vital activities on my own and keep writing at the same time? This is why I have used a vanity press for the first Fortune Seekers book – Dan and Charlotte, despite being told that to pay for this is not necessary, is a rip off, that they do a terrible job, are just after signing up a client and their prices are expensive. But, what is expensive when you have no experience? To be honest with you, my experience with a vanity press company has been nothing but professionalism- in respect to the finished printed book and the company representatives. I had one hiccup – poor editing, which was put right after the company republished a revised edition. The book’s price was also too expensive, and to drop the price I have sacrificed royalty income, as the company share in a percentage of the royalty. Now, after checking out hybrid companies, who also have a payment part to the contract, I am reconsidering publishing with assistance. In this example all royalties are mine, for the fee (equivalent to the vanity press cost- both are under AU $5,000). One year of promotion, cover designs, setting up of a website, publishing under my own publishing name, retail price of books is realistic and they actively post and promote in all social media sites, linking everything so readers can access information by single clicks. The one off payment is my only investment. This is tempting. I understand nothing is free. Why would an author expect a Publishing House to invest and pay for everything as was previously the case years ago? An author friend has offered to assist me self publishing. He has published about eight novels, and they are all professionally presented, well edited at a price, cover is designed at a price, published at a reasonable cost and retail price is his choice. Royalty income is all his. His offer is massive. The only hesitation is – will I suffer by not having professional marketing and social media promotion? The following blog by ‘BookBaby’ explains the considerations we as authors must consider. If you want a career as a self-published author, you need to do more than just write: you have to learn the business and market yourself so you’re on the same playing field as authors with big publishing houses behind them. I wish you the best when making your own decisions. Found this little gem tonight while doing a little twittering. It’s right up my alley this type of blog. Or should I be writing- this type of blog is right up my alley. The grammar police know what’s best. Here is a snippet from the blog to wet your appetite if you are interested in social aspects of your characters or your family and friends (kidding). I’ve spent the better part of the last year digging into the topic of character wounds or “Ghosts.” If this topic sounds familiar, it might be because Angela Ackerman and I (among others) have been yammering about it to anyone who will listen. The wound is a fascinating and vital piece of your characters’ pasts, which has lasting, formative effects on who they will be at the start of your story. As such, it’s super important to figure out which wounds are crippling your characters so you’ll know how to write them realistically and consistently. Whether you’re building characters from the ground up or they come to you fully formed and you just have to figure out their backstory, it’s imperative to identify this important event from their pasts. Simply put, a wound is a negative past experience or series of experiences that causes extensive emotional pain. It could be a devastating moment (a life-threatening accident), repeated traumatic episodes (living with an abusive caregiver), or an ongoing damaging situation (growing up in poverty). However it manifests, this excruciating event births powerful fears that begin to drive the character’s behavior and choices. New personality traits develop as a way of protecting the character from re-experiencing that trauma or the emotions associated with it. As you can see, wounds have long-lasting effects that are, sadly, true to life. When we take the time to discover what this event is for our characters and how it might impact them, they instantly become more realistic and compelling to readers. How Do You Discover Your Character’s Wound? What’s been happening in my life today? 1. Listened to a webinar on how to increase my mailing list. Result– Some great ideas to work on. Seems like I must take many little steps and follow certain procedures. 2. Discovered one foot is swelling after standing at the laptop writing all day. Researched Dr Google to discover reasons. Ended up wearing a compression stocking and keeping the leg raised with a cushion or three. 3. Joined authors on a writers group who are concentrating on obtaining likes on their author pages. Result– in 24 hours I’ve added 100, bought two books that appealed that I am dying to read and will post reviews on their behalf. Authors need reviews! Before I get to read them, I will finish another Australian Novel- it’s holding my attention which is good. 4. 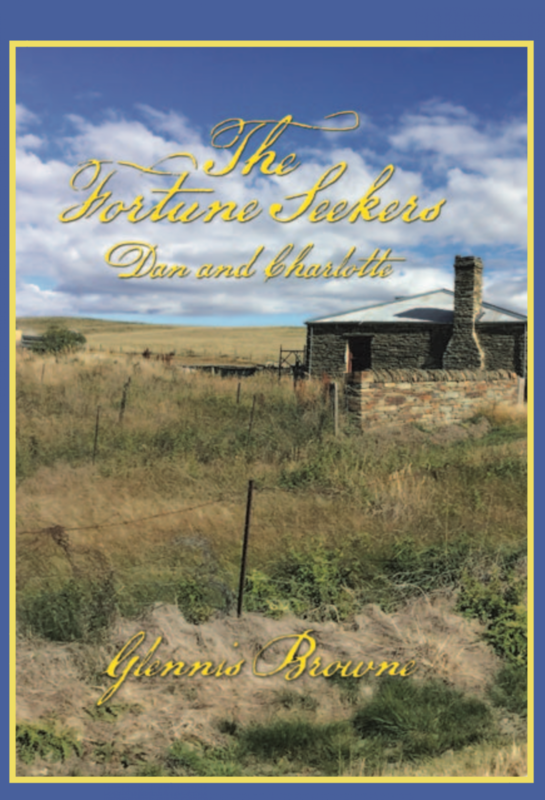 Completed first edit on three chapters of my second of the series historical fiction novel in The Fortune Seekers Series. Result– pleased about this, but I should have sat as well as stood, and also taken more breaks, which may have prevented the swollen foot and ankle. Finally, I am genuinely interested in hearing about your day. Either comment below or meet me on my FB author page. As a loyal follower I’d enjoy getting to know you. See links below for options.